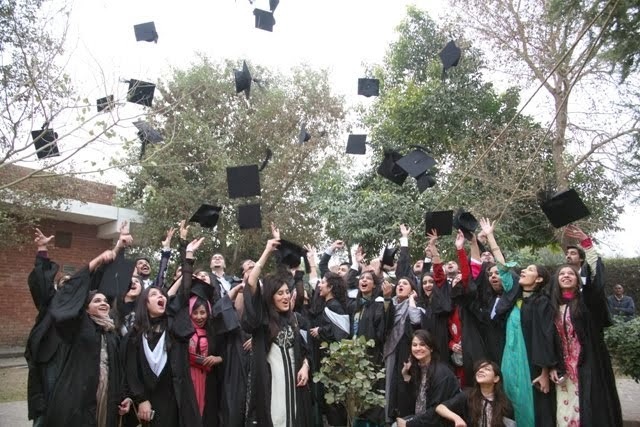 Lahore School of Economics’ Eleventh Annual Convocation was held at the main campus on Jan 25, 2014. Dr. Shahid Amjad Chaudhry, the Chairman and Rector Lahore School conferred degrees and awards to graduating students. In his welcome address, Dr. Shahid Amjad Chaudhry highlighted the role of Lahore School of Economics during the last two decades (since its founding in 1997). 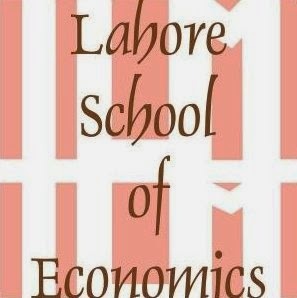 The Lahore School today has four Faculties and Departments – The Faculties of Economics and Business Administration and the Departments of Social Sciences and Environmental Sciences and Policy. It has also three Centres – the Centre for Mathematics and Statistics, the Centre for Media Studies Art and Design, the Centre for Research in Economics and Business – and the Graduate Institute of Development Studies. The Faculties, Departments and Institute offer PhD, MPhil, Masters (including MBA) and Bachelors Programmes. Lahore School of Economics’ eleventh Annual Convocation will be held at the main campus on Jan 25, 2014. Dr. Shahid Amjad Chaudhry, the Chairman and Rector Lahore School will confer degrees and awards upon graduating students. Students are advised to register for the convocation with respective program offices. Pakistan hosted South Asian Economic Students Meet 2013. It was jointly organized by Lahore School of Economics and Lahore University of Management Sciences. 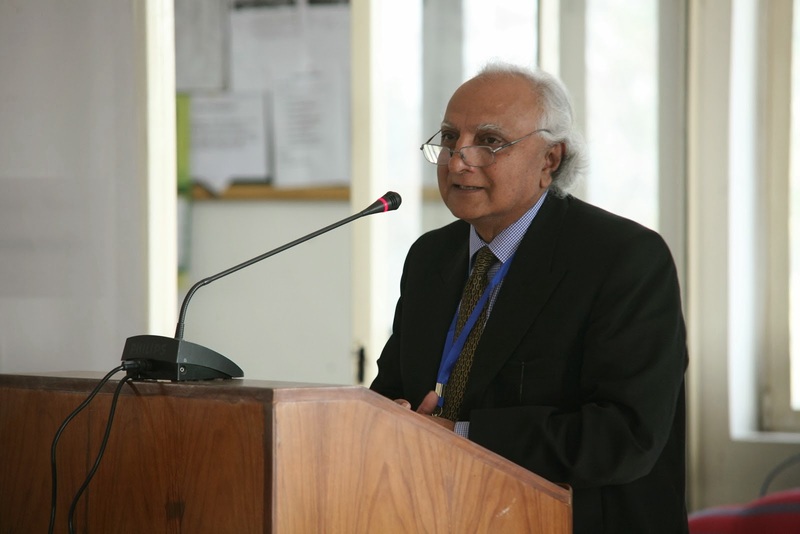 Dr Shahid Amjad Chaudhry, the Rector Lahore School welcomed international delegates to Lahore School of Economics on December 26, 2013. Earlier, students from South Asian countries took part in a Panel discussion on the topic of Political Economy of Urbanization which was moderated by Dr. Naved Hamid. The Budding Economist event was judged by South Asian country representatives and Dr. Azam Amjad Chaudhry Dean Department of Economics, Lahore School of Economics served as judge from Pakistan. A Quiz competition was also held. Analyses of economic development in Pakistan have traditionally followed a “top-down” approach. They examine the behavior of macroeconomic indicators for the country as a whole, referring only in a general, even cursory, manner to the trajectories of each province, and even more summarily to the policy issues, constraints, and opportunities that confront the different provinces. The implicit attitude—that it is the federation as a whole rather than the federating units that matter—is so firmly embedded in the official mindset that, even after 65 years of Pakistan’s existence, the authorities do not produce official statistics of province-level gross domestic product (GDP), investment, savings, exports, imports, labor productivity, and other key economic indicators. Why is a province-level approach important? The issue is not merely of academic interest. It is necessary to strengthen studies at the province level, because policies to address questions of employment, poverty, and perceived deprivation, and to improve the delivery of key services are more effective if the perspective is as close to the ground as possible. This chapter provides a new perspective, located in institutional economics, on the nature of the structural constraints to achieving sustained economic growth in Pakistan and overcoming poverty. It argues that the fundamental factor underlying the failure so far to embark on the process of sustained economic growth is the economy’s rent-based institutional structure and associated patron–client-based governance model. The institutional structure generates rents for a small coalition of elites by restricting competition and excluding the majority of people from the process of saving, investment, and high-wage employment. The consequent narrow base of economic growth is unequal; it is also incapable of being sustained because of lack of incentives for competitive efficiency and innovation on one hand and a low savings rate and export growth on the other. This chapter argues that sustainable economic growth can be achieved through an institutional change whereby the process of saving, investment, productivity increase, and income generation can be broad-based to include the poor and the middle classes. The issue of poverty is both simple and complex: at one level, the implicit or explicit objective of most economic policymakers in developing countries is to reduce the levels of poverty in a country; at another level, the tools that should be used are constantly open to debate. The debate in almost all developing countries concerns the correct policy mix between those that target economic growth, which have the potential to reduce poverty as overall income levels rise, and those policies that target poverty directly, such as social safety nets or income transfers. There is little question that long-term growth reduces poverty, but in a country such as Pakistan, where growth is sporadic at best, the question that arises is what can be done to reduce poverty for those who will not benefit from growth for years or even decades. If we add to this the fact that development has been devolved to the provinces in Pakistan after the 18th Constitutional Amendment, the future of poverty alleviation initiatives is quite simple: Either we explicitly acknowledge that the state is only concerned with economic growth and wait for growth to reduce poverty—while pursuing intermittent and idiosyncratic poverty interventions that assist the poor but do little to move them out of poverty—or we clearly focus the limited resources of the state on explicitly targeted poverty interventions. This chapter on the Pakistani firm describes the microeconomic factors underpinning economic growth and wealth creation, focusing on enterprise-level analysis. Notwithstanding the key role of the firm highlighted in the chapter, data at the firm level is difficult to obtain and even more problematic to analyze. While the statistical issues associated with enterprise-level analysis in Pakistan are beyond the scope of this chapter, it is important to note up front the various limitations of the firm-level data available and the caveats stemming from firm-level analysis. The Census of Establishments for 2005–07 (Pakistan Bureau of Statistics, 2007), gives a relatively clear picture of the family of Pakistani firms: many small, locally focused firms exhibiting varying degrees of formality and market participation, coexisting with relatively few, large formal firms (often multi-product conglomerates that account for the bulk of production, exports, and higher-wage employment). Only 5 percent of a total of almost 3 million establishments surveyed employed more than five persons at that time. In manufacturing, the figure is similar at 91 percent of the half-million firms surveyed, with only 1,100 of these establishments reporting employment of over 50 workers. In explaining economic growth, economists invariably turn to analytical frameworks such as the Harrod-Domar growth model and its many extensions (e.g., Solow, 1956). The main drivers of growth in such models are capital, labor, and more recently, knowledge (Romer, 1990). These models are useful in that they allow us to separate out growth arising from an increase in capital and labor, from productivity-led growth associated with the quality of overall economic management. This separation is useful because it brings into focus the efficient use of available resources rather than an insatiable quest for ever-more investment. Another approach is to look at episodes of rapid and sustained economic growth and identify the “big ideas” (vents for growth) that have made them happen. These ideas stimulate, borrowing from Keynes, the “animal spirits” and result in both higher investment as well as higher productivity growth. The discussion presented in this chapter takes this approach, arguing that Pakistan has enjoyed several episodes of rapid economic growth since 1947 that are associated with changes in technology, institutions, and legal systems that support the rolling out of a big idea (growth vent). Those growth vents have run their course. Pakistan now has to seek a growth vent that results in geographically balanced growth and can thus be sustained politically for a prolonged period. There is increasing recognition in Pakistan that regional trade could be an important driver of growth for the country. However, much of this debate has focused on India–Pakistan trade. [i] While, undoubtedly, trade with India could give a tremendous boost to Pakistan’s economy, there are other neighbors with whom trade could be equally important. We propose to look at this neglected aspect of regional trade and show that promoting trade with the rest of Pakistan’s neighbors could have a significant positive impact on the country’s growth over the next decade or more. Trade with India and trade with the other neighbors are two sides of the same coin—promoting trade with both would have tremendous synergies. The overall impact on Pakistan’s economy could well be to raise the trend growth rate for the next decade or so by 2 to 3 percentage points above the historical trend growth rate of 5.5 percent per annum. Section 2 provides a review of the trends in growth in trade, particularly exports in the last decade. In the next three sections, we discuss trends in exports at the aggregate and commodity level, as well as the pitfalls, opportunities, and appropriate policies to promote exports with respect to Pakistan’s three largest trading partners of its neighboring countries, i.e., China, the United Arab Emirates (UAE), and Afghanistan. Section 6 briefly reviews the potential for trade with Central Asia, overland through Afghanistan. Section 7 concludes the chapter. Trade between India and Pakistan has been fundamentally influenced by factors that are not purely economic. At the time of Partition in 1947, both economies were heavily interdependent, with the share of the Indian market in Pakistan’s exports at close to one fourth, and over half of Pakistan’s imports coming from India. Thereafter, bilateral trade has had a chequered history. Trade virtually ceased after the wars of 1965 and 1971. Some positive steps have been made since 1995, when India announced its decision to grant most favored nation (MFN) status to Pakistan, and the latter established a positive list with respect to imports from India. The signing of the South Asian Free Trade Agreement (SAFTA) in 2004 was a major step forward in the eventual establishment of a customs union in the region. Recently, Pakistan announced its potentially landmark decision to grant MFN status to India by the end of 2012. In the interim period, a restricted positive list has transitioned to a negative list, which opens up a large percentage of tariff lines for imports from India. Further, the two countries have agreed to simplify customs procedures and facilitate the process of goods certification. India has also announced that it welcomes investment by resident Pakistanis and companies. Remittances to developing countries sent through official channels were estimated at USD 406 billion in 2012 (World Bank, 2012). This represents a growth of 6.5 percent over 2011, and is projected to rise by 8 percent in 2013 and 10 percent in 2014. Current remittance flows are over three times the amount of official development assistance (World Bank, 2012). In Pakistan, remittances through official channels have grown from just around USD 1.5 billion in 1997/98 to slightly over USD 13 billion in 2011/12 (State Bank of Pakistan, n.d.; see also Table 12.1). In the first six months (July–December 2012), they were slightly over USD 7 billion—an increase of 12 percent over the corresponding period in the previous year (July–December 2011). It is commonly held that foreign direct investment (FDI) has played an insignificant role in Pakistan’s economic development. Certainly, the aggregate data supports this view: FDI inflows have accounted for less than 1 percent of gross domestic product (GDP) in most of Pakistan’s 60-plus years, and less than 4 percent in the peak year of 2007 when the country ranked among the 10 largest recipients of FDI in Asia. At the same time, FDI has been more important in Pakistan than in India: annual inflows have been larger in most years from 1947 to 1993, and even now, while our larger neighbor receives four times more inflows, the share of FDI in capital formation is three times as large in Pakistan. Such comparison, while superficial, suggests the relevance of FDI. This chapter considers the role that FDI can play in moving the economy forward by improving its technological base and placing production on a more dynamic growth path, as other countries have done with great success. It begins with a brief history to remind readers that Pakistan’s economy has always been open to foreign investment, even in the heyday of nationalization. Next, it looks at the particular type of investment and technological profile that has evolved: weighty, but largely insular, statist, and low on competiveness. Finally, the chapter assesses the potential for a more ambitious industrial trajectory: private sector-led, fueled by FDI, and supported by policies and institutions that encourage technological deepening. The link between good governance and economic and social development has been well established in the last few decades. There is a wide consensus that good governance must lead to broad-based, inclusive economic growth and social development. It must enable the state, civil society, and the private sector to enhance the wellbeing of a large segment of the population. Economic policies, however sound or benign, cannot disperse their gains widely unless the institutions intermediating these policies are strong, efficient, and effective. Pakistan’s Indus Basin Irrigation System (IBIS) is the strong heart of the country’s economy. Its creation is a tribute to the British irrigation engineers who created the original system (1847–1947) that Pakistan inherited in 1947, and to the Pakistani irrigation engineers and institutions (particularly the Water and Power Development Authority [WAPDA] and the provincial irrigation departments) who have spent the last 60 years adding new dams and barrages, building new link and branch canals, and modernizing and maintaining the world’s most complex and extensive irrigation system. From the 1950s onward, the IBIS has also been the product of the generosity and intellectual input of a host of international experts and international institutions, particularly the World Bank. This chapter starts with a review of what has been accomplished in order to put the IBIS into perspective and illustrate the magnitude of the effort put into building the present system. The chapter’s aim is to sketch the task ahead and develop a coherent national strategy for the preservation of the IBIS for the future. The Revelle Report commissioned by President Kennedy following a request from President Ayub Khan in 1961 provides a fascinating look at Pakistan in this period. It paints a West Pakistan of 43 million people, malnourished and desperately poor with an average income of less than 20 cents/day, and an average life span of less than 45 years, with a 10 percent rate of literacy—“industrious, frugal, progressive … their watchword: ‘our sons will have it better’” (US Department of the Interior, Panel on Waterlogging and Salinity in West Pakistan, 1964, p. 35).